The Oly Mountain Boys | Pacific Northwest Bluegrass | Blog : Stringbands and more coming together this spring! Stringbands and more coming together this spring! 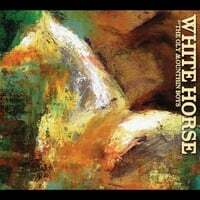 Let's start off with a big thank you - for voting White Horse one of the Top Ten Northwest Albums of 2014 in the Northwest Music Scene readers' poll! And then let's get straight down to marking your calendar for all the great shows we have coming up. We're collaborating with some great musicians you won't want to miss! Speaking of the Jamboree, we've got new bands (Blackberry Bushes! Country Banana Split! Crow and the Canyon! Max's Midnight Kitchen!) New poster! New website! A new Twitter feed! And a new partner (Rainshadow Arts)! Check it out! Get your tix soon - this event will sell out!